The implementation of the online court programme in England and Wales is not going quite a smoothly as followers of Her Majesty’s Court Service blog on developments might believe. Not only are their signs of judicial unease at aspects of the programme – see the recent speech of the President of Tribunals – there are signs that Labour shadow ministers – no doubt galvanised by the prospect, however remote, of a Brexit rout of the current government – are getting interested in the problems. One of the most visible indications of this interest comes from Parliamentary Questions about the court closures necessary to fund the online programme. Labour spokesman Richard Burgon obtained the following figures for annual closures since Labour lost office in January: ‘Since 2010, the following number of courts have closed in each financial year as detailed below: 2010/11: 1; 2011/12: 129; 2012/13: 7; 2013/14: 5; 2014/15: 7; 2015/16: 20; 2016/17: 64; 2017/18: 25. In January, the Guardian reported that ‘Last week the MoJ [Ministry of Justice] revealed that a further eight courts had been earmarked for sale. These are Wandsworth county court and Blackfriars crown court in London, and magistrates courts in Cambridge, Northallerton, Banbury, Maidenhead, Chorley and Fleetwood.’ MPs are getting restive about closures in their and neighbouring constituencies. There is some evidence that Ministers take a somewhat cavalier attitude to travel times. The charity Transform Justice reported in 2015: ‘Local MPs have campaigned hard to save local courts and have highlighted flaws in the process. Simon Reevell, when MP for Dewsbury, wrote “Imagine someone who lives in Wensleydale in rural North Yorkshire or any of the hundreds of similar rural areas in England and Wales. Should he find himself accused of a criminal offence he will appear before the magistrates in Northallerton. Or at least he will try. The first bus leaves at 9.45am and doesn’t arrive until just short of midday meaning that even a ‘not before 12’ marking wouldn’t help and the case would have to be marked ‘not before 2’. It would also have to finish in time for the 3.35pm bus, otherwise it’s an overnight stay in Bedale!”’. The court closure plans are integral to the online court programme because sales of buildings are required to raise to finance it. Significant sums are going out of the public sphere. Richard Burgon was told that ‘As of 22/01/2018 forty-one (41) contracts have been awarded under the category ‘Digital and Technology’ to support the delivery of the HMCTS Reform Programme. The Total Contract Value of these contracts is £106.4m.’ The contract to assist users with digital court processes has gone to a body known as the Good Things Foundation. An HMCTS blog announced that ‘We’ll be working with them to design and develop the service and we aim to start trialling this support in a limited number of locations towards the end of this year. We’ll share further information on this as the service develops.’ The major advice provider in England and Wales is the Citizens Advice service and there is also a network of independent advice agencies and a small group of law centres which are well established parts of the advice world. Digitalising the courts was never going to be easy. And various vested interests, not least the legal profession, were always likely to object. But, there is enough more generalised concern and, if Opposition shadow ministers are to take an interest in this area, here are six suggestions for how they might frame an intervention where developments are racing ahead of any statutory authority since the bill which was proposed fell at the general election. 1.The court closure programme should be suspended pending a full public review of the principles involved and, in particular, real travel times and costs for users. 2. A set of principles should be drafted to underlie the digital programme. For example, we need public debate of whether a finding of guilt in a serious criminal matter should only be possible with the defendant physically present before a court. 3. The contract for digital advice should be called in. It is madness to have a network of advice agencies around the country which are expected to be the main source of substantive advice and which have developed products like CourtNav to assist litigants in person and not integrate them within the framework of court assistance. 4. Every element of the court reform programme needs to have publicly stated key performance indicators by which it is content to be judged and these must include participation and satisfaction rates for users. 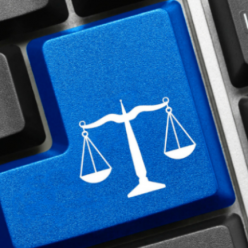 For example, the online small claims court should set a target of increased users entering the system even if it wishes to set lower targets for those requiring hearings. 5. There must be an independent evaluation team for each element of the programme which measures performance against the preset KPIs. The HMCTS seems to have set its mind against research – perhaps considering that this would entails lengthy academic analysis. Not so. We want quick and independent evaluation. 6. There must be increased judicial supervision of the programme. This is what the Tribunal President has been calling for and he is right.